Filth flies are public health pests capable of transmitting a variety of diseases. 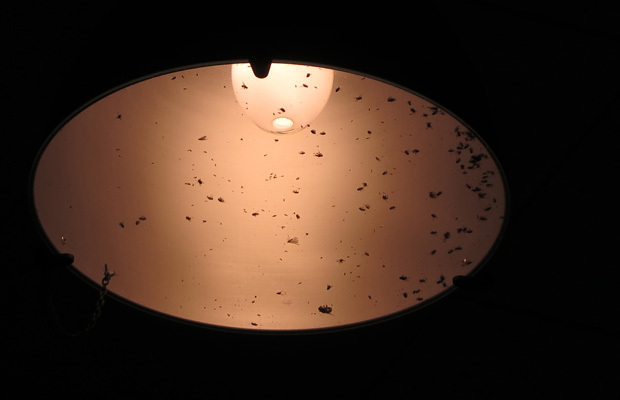 Unless a facility has extremely poor interior sanitation conditions, chances are that filth flies like house and bottle flies are not breeding indoors. More commonly, these flies are coming in from outside, often attracted to the site by odors. Although it may not be possible to eliminate food odors emanating from a food plant, there are things that a food processor can do to help exclude filth flies and reduce the attractiveness of the structure to flies. One of the main exterior attractants is the dumpster compactor area. When it comes to fly management programs, the dumpster compactor area should be a main exterior target area for integrated pest management strategies for filth fly control. The integrated pest management strategies around dumpsters will include improved sanitation, exclusion and the use of chemicals to supplement the non-chemical methods. Wriggling maggots can hide in, around and underneath the dumpster. Daily clean up around the dumpster compactor should be performed to make sure that spillage and debris is kept to a minimum. One statistic states that you can get 800 fly maggots in one ounce of organic debris. It doesn’t take much waste material to support a lot of flies. Cleaning needs to consider the small amount of moist organic waste which can produce a lot of flies. In addition to day-to-day efforts, opportunities for more detailed cleaning should be sought. Coordinate clean up underneath and around the dumpster compactor unit when the dumpster is removed by the waste hauler. Debris can accumulate between the dumpster and the compactor which cannot be easily cleaned when the dumpster is in place. It is also important to make sure that the hauler delivers a dumpster which is delivered free of heavy waste deposits and flies. Periodically inspect the condition of the dumpster when it is delivered for signs of excessive organic debris and pest activity. If they remove the waste and use the same dumpster box, that dumpster box will need to be cleaned on site. When your waste hauler arrives for disposal service, check the paved area while the dumpster is removed for signs of cracked pavement and maggots. It is not uncommon to find maggots underneath a dumpster which has been moved for disposal. Repairs should be scheduled if the pavement is cracked and damaged, to eliminate areas where organic material is collecting and where maggots are living. Trash receptacles placed around the exterior of the facility for employee, patient and visitor personal trash should have self-closing lids and be emptied frequently, at least once per week. Some pest flies can complete their life cycle in less than one week. The longer the trash remains, the more likely the flies will have sufficient time to complete their life cycle. Even small flies, like phorid and fruit flies, will move into buildings due to trash receptacles located close to the facility. This is especially true when the trash receptacle is located near a frequently opened pedestrian door. Self-closing lids may not totally prevent pest access but will discourage foraging and reduce odors which can attract pests to the receptacle and the structure. It is critical to reduce openings around the structure near the highly fly attractive dumpster compactor. If doors are left open, or the building is not sound, flies attracted to the dumpster will make their way into the building. Educate employees regarding the importance of keeping doors closed while not in use. If doors need to be left open for ventilation purposes, screens should be installed. There are specially designed screen doors made for dock doors which run on the dock door track. These are preferred over a screen that is mounted to the frame, since there are often gaps in the door. It is advisable to place personnel doors, such as those used for outdoor break areas or employee entrances, away from dumpster compactor areas. 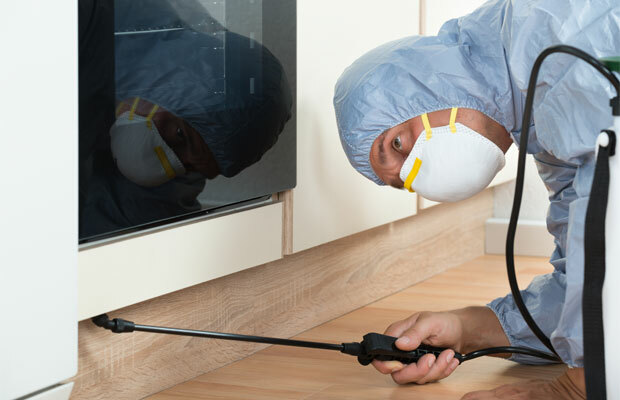 Frequently used doors placed in areas where pests congregated will increase the chance of pest introduction. If there are frequently used doors near areas which are highly attractive to flies, consider placing air doors on these personnel doors or use vestibules to add another line of fly defense. Treatments can be performed using residual insecticides, bioremediation products and fly baits. There have been several fly baits introduced recently with excellent labels for both exterior and interior food areas. Labeled applications for food areas will have greater restrictions. All labels must be followed. Baits are well suited for targeting both interior and exterior trash receptacles. Bioremediation products can be used to help break down organic materials which the flies are feeding on. They contain specially formulated beneficial bacteria which help break down wastes which attract and feed flies. Some of the bioremediation products also contain essential oils. With a combination of the waste-reducing properties and the pleasant odors of the essential oils, fly-attracting odors are reduced. 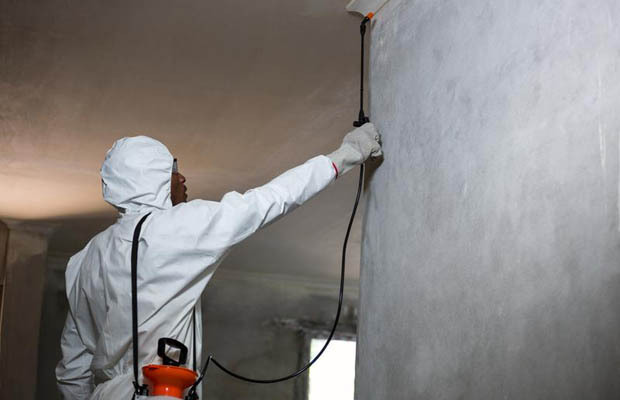 These products can be applied using a foaming device, sprayer or applied through mister-type systems on an ongoing basis. The key to these products is to apply them routinely. As new wastes are deposited, the bioremediation products need to be reapplied. Bioremediation products are often used indoors in drain cleaning programs, but can also be beneficial outdoors. Residual insecticides, in the form of liquid applications, can also offer protection and should be considered in both preventative and remedial fly-control programs. Use products of varying insecticide classes. Avoid reliance on the most common class of pyrethroids. Pyrethroid-based products used on a routine basis can cause control failures, since fly populations may be resistant or easily become resistant to this group of insecticides. Insect growth regulators (IGRs), which inhibit normal fly development, are also beneficial in situations where you have the immature stages of flies or maggots. When maggots are breeding around a dumpster, use of an insect growth regulator can be extremely beneficial. Focusing pest management efforts on the “hot spots” for pests makes sense. In the case of filth flies, one of the main focus areas is the dumpster compactor. Food debris and decaying food odors make this area a magnet for flies. Focusing on the dumpster can help reduce interior fly sightings and potential product contamination. A focused approach can also reduce treatment costs and amount of resources needed to obtain the desired control results. 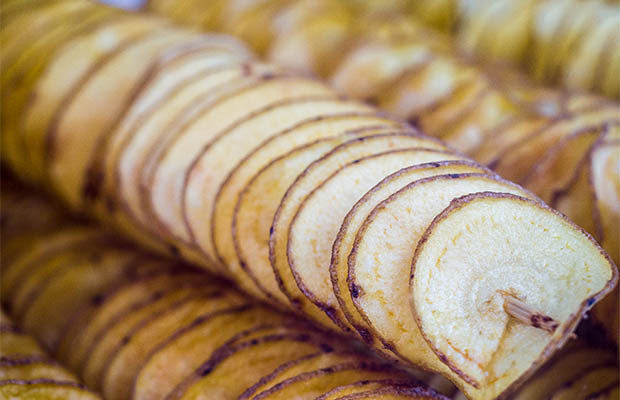 This article was written by Patricia Hottel from Food Manufacturing and was legally licensed through the NewsCred publisher network. Please direct all licensing questions to legal@newscred.com.